Listening to what a child says and not just hearing her or him is a start to helping them work through an issue. Showing we are listening leads to more effective communication and better understanding for everyone. We can show that we are listening through a few easy steps. facing towards a person that is talking, nodding our head as they talk, and having open posture not arms crossed in front of our body are nonverbal ways of showing that we are paying attention to a person while she or he is speaking. We can also show that we are listening by rephrasing back to the speaker what she or he has said and asking clarification questions. These techniques are called active listening. When we want to get a point across or express how we’re feeling to someone else there are simple tricks for that as well. Use “I statements” such as “I want you to…” or “I feel happy or sad when…” instead of just saying “you, you, you” all the time. When people, especially children, hear “you” all the time it can start to sound like blaming and they can tune out or start to feel less about themselves. By using “I statements” we let them know how we feel about something and what we would like to happen without sounding like we’re accusing or blaming. 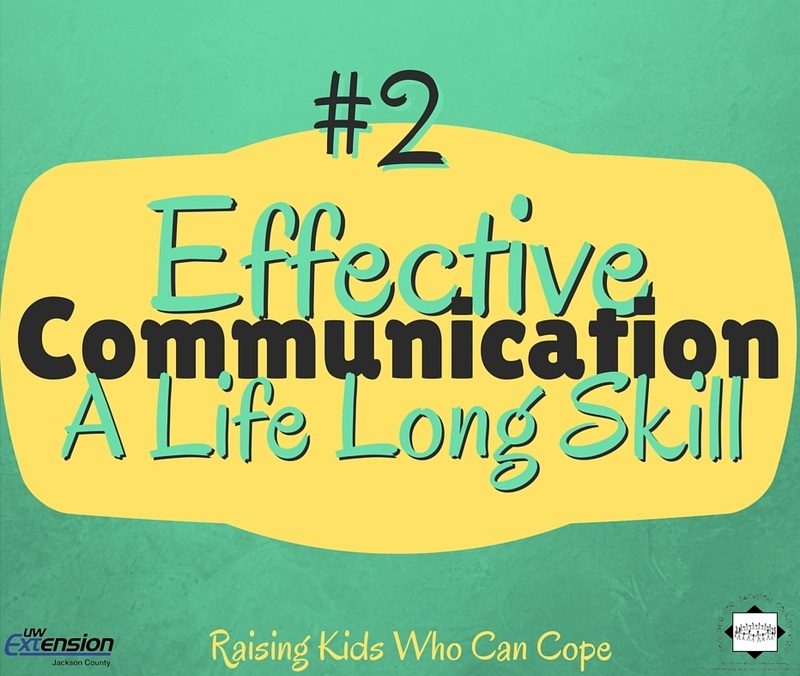 This entry was posted in Raising Kids Who Can Cope and tagged coping skills, healthy communication, youth. Bookmark the permalink.